This Shark Power Pod Lift Around Portable Vacuum makes you look cooler than you already are as you clean your home. As a lightweight and portable vacuum, this thing may be small, but it does mighty big things in your home. 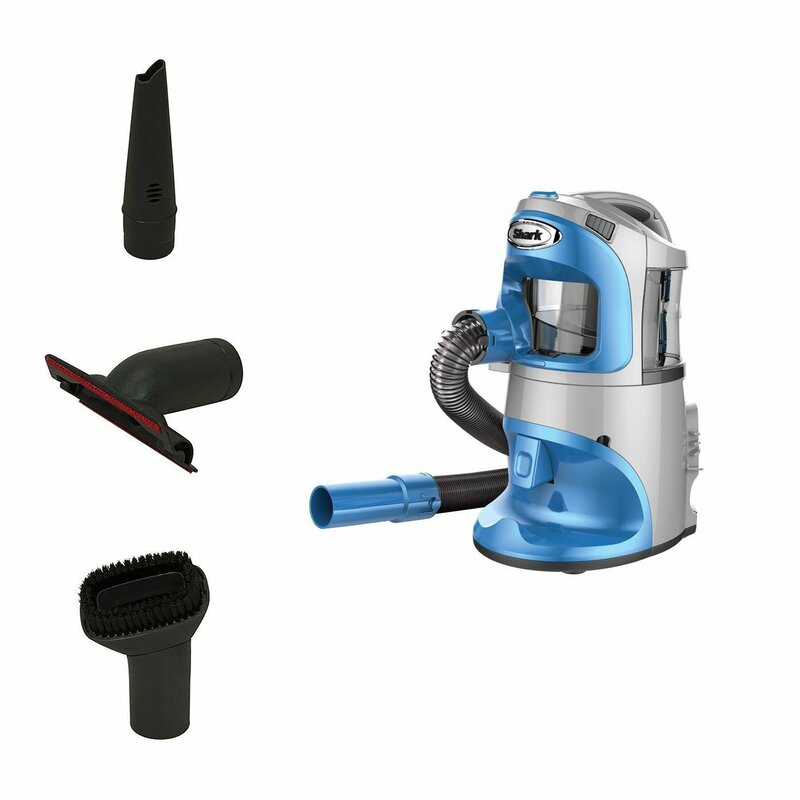 It easily gets into crevices, tight spaces, and corners with the flexible hose and the included upholstery brush, crevice tool, and dusting brush. It never loses suction, has an easy to empty dust cup, and a 25 foot power cord so you can maneuver a long ways while cleaning away. The Power Pod is a very low maintenance vacuum with lifetime filters to reduce costs to make you a happy cleaner. For a vacuum that is not only impressive and super lightweight, but gets the job done right and in style, this Shark Power Pod Lift Around Portable Vacuum is the one you want in your cleaning closet.